One hundred and four years ago, a little soda shop was started on the corner of Main and Clinton. One Great Depression, two world wars, 18 presidents, 12 Americans on the moon — and that same soda shop is still going. 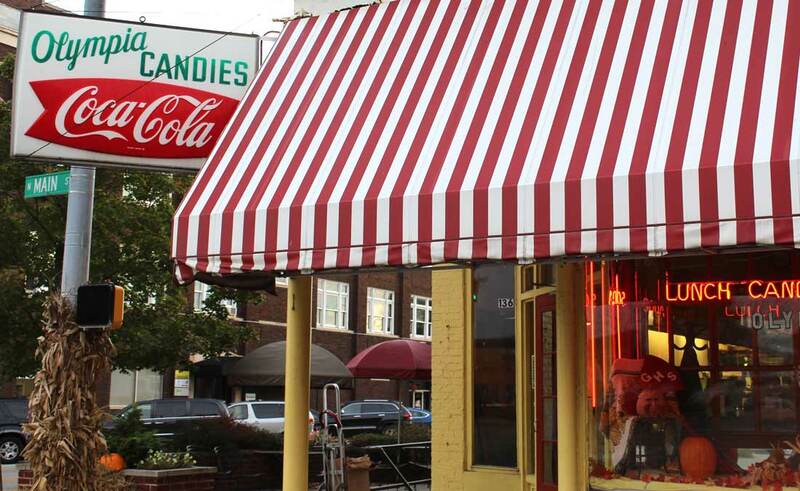 In 1912, Olympia Candy Kitchen was started by Sam Husaus. Eight years later, Greek immigrant Nicholas Paflas bought the restaurant with his wife Leona. Ninety six years later, the family business is in its fourth generation, safely in the hands of great-grandson of the Paflas, Kare Anderson. Menu items started out as simple sandwiches, then burgers, and over time, they developed a full lunch menu. When Kare’s mom ran Olympia, she added breakfast. Lunch offerings have changed over the years, as have the candy options. 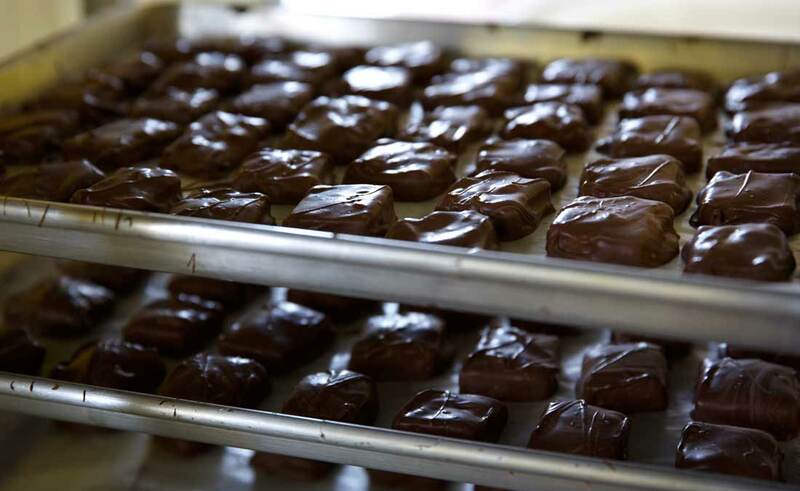 Olympia makes many of its products in-house, including caramels, toffee, mayonnaise, vegetable soup, and flavored syrups. They’ve been adding homemade syrups to their soda from the beginning, when soda was made in-shop by combining carbonated water with flavored sugar syrups. “I like to say that we had cherry Coke before Coke did,” Kare laughed. 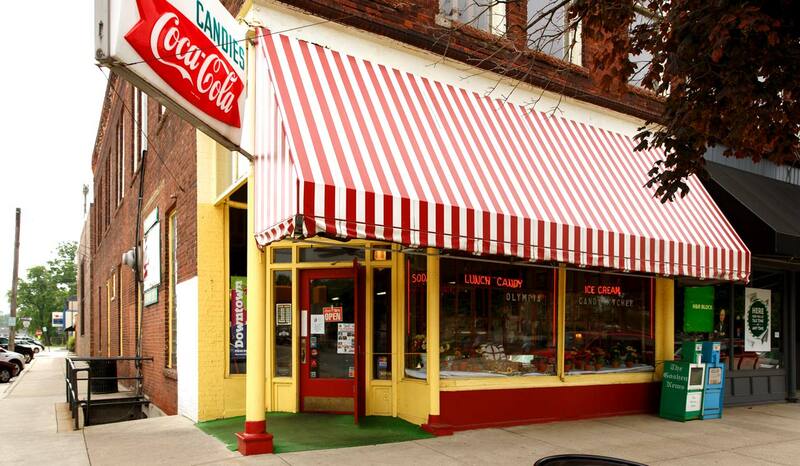 Homemade food and cherry Coke are just a few things that have set Olympia Candy Kitchen apart. Unique items like the olive nut sandwich, along with homemade, hand-dipped chocolate, make it unique. In addition to maintaining their original atmosphere and values, much of the physical space is still the same as it was back in 1912. The location of Olympia has helped keep it running for so long. In the past, it has been a prime spot for tourists, locals, courthouse officials, and even visiting politicians and former presidents. 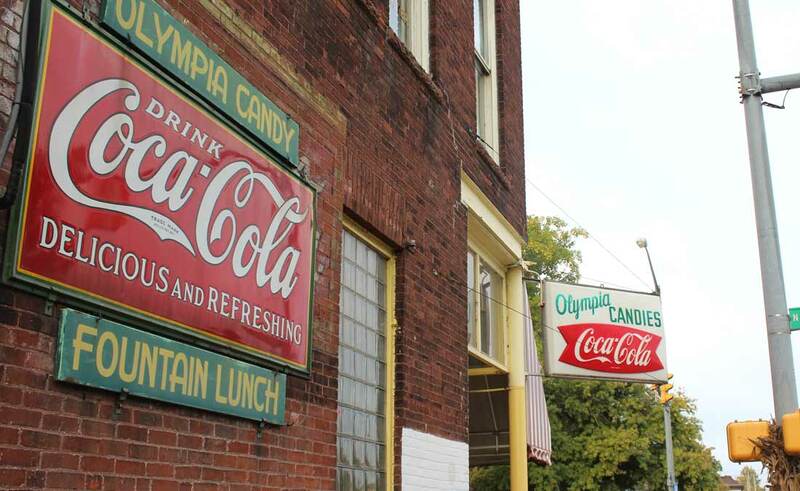 The food, the building, and the location certainly set Olympia apart, but they aren’t the key to what’s made it iconic. “This place is such an icon because of the loyal customers,’” Kare said. Just as the owners have passed Olympia down through their family, customers have shared the tradition of going with their children and grandchildren. Kare’s grandparents knew the grandparents of many of the current loyal customers. Customers come to Olympia for food, chocolate, and the old-fashioned atmosphere. While Kare is happy with just one Olympia, he does want to expand the business in other ways. Kare explained that Olympia is growing by increasing sales across the country. 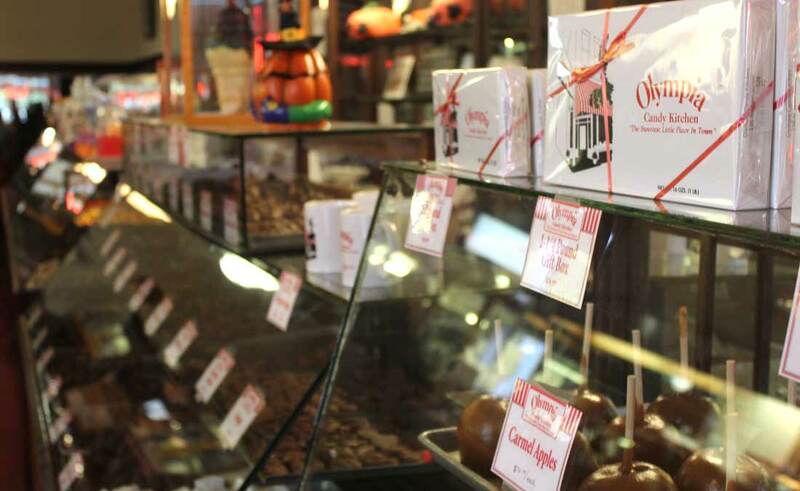 Olympia ships chocolate to customers across the United States. 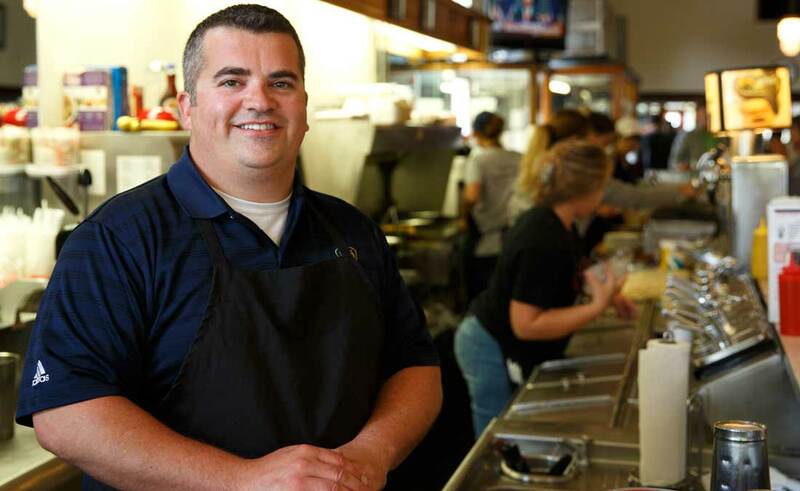 Kare never expected that owning Olympia would become a central part of his life. Kare started his relationship with Olympia in high school. He worked there while his parents were running the business, but soon realized he needed more experience. So, Kare got a job at Olive Garden. He went to college, married, and had four kids. He moved around living in both California and Arizona. Twelve years ago, Kare decided to come back. Kare expected to just come back home to live, not to run the business. His parents never pressured Kare to run the business, but he started running it out of necessity. Kare said that running Olympia is hard work. Running Olympia impacts Kare’s involvement the community, too. Kare wants to see Olympia remain the icon it is today. “I hope we are still open another 100 years,” he said. Grace Bickel and Elizabeth Rieth, both seniors at Goshen High School, are leading members of the GHS student newspaper, The Talon. This year, Grace and Elizabeth are enrolled in a self-led independent study in journalism, where they are branching out from the high school audience and writing about the larger Goshen community. Growing up in such a vibrant community has fostered a love for Goshen. They’ve partnered with the Good of Goshen to write stories about unique local businesses and their history. Elizabeth Rieth, a senior at Goshen High School, spends her time involved in marching band, Crimsonaires, and as the editor-in-chief of The Talon. This past summer, she interned at the Elkhart Truth. In her leisure time, she enjoys kayaking, reading and spending time with her Golden Lab, Daisy. Whether it’s the dam pond, the downtown theatre or the steak tacos at San Marcos, Elizabeth can’t get enough of Goshen. 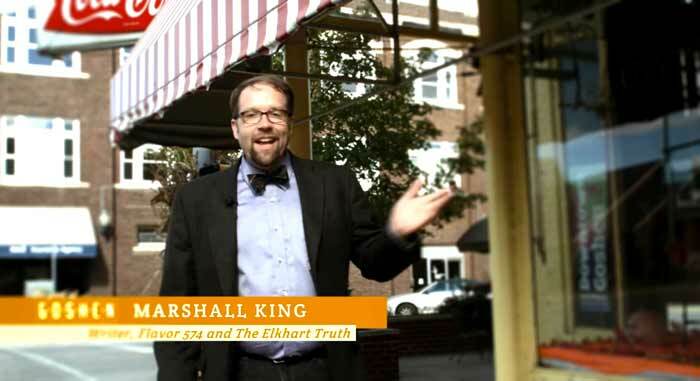 After high school, Elizabeth plans to pursue journalism at an undecided school. Read more on The Talon site.